Trust Automation Inc. announced today that it is moving to a larger facility at 125 Venture Drive, San Luis Obispo, California. “It was important for us to remain in the Central Coast Region, which has nurtured our rapid growth with the best technical talent pool we could hope to find,” says Ty Safreno, Trust Automation’s Chief Executive and Technical Officer. Trust Automation Inc., a supplier of automation and cyber defense systems for industrial and military applications, announced today that it is moving to a larger facility at 125 Venture Drive, San Luis Obispo, California. At 96,000 square feet, the new facility more than doubles the amount of space Trust has for its U.S.- based engineering, manufacturing and business operations. The company’s current facility, at 44,000 square feet, is located less than a mile away at 143 Suburban Road. Trust will use the extra space to expand its established semiconductor, defense and industrial businesses. The new facility also includes additional room for the company’s recently announced Trust Intelligence Systems division, which focuses on cyber defense devices for legacy IoT networks. Trust’s new facility was formerly occupied by Lockheed Martin and includes dedicated areas for engineering, research-and-development, quality control and manufacturing. 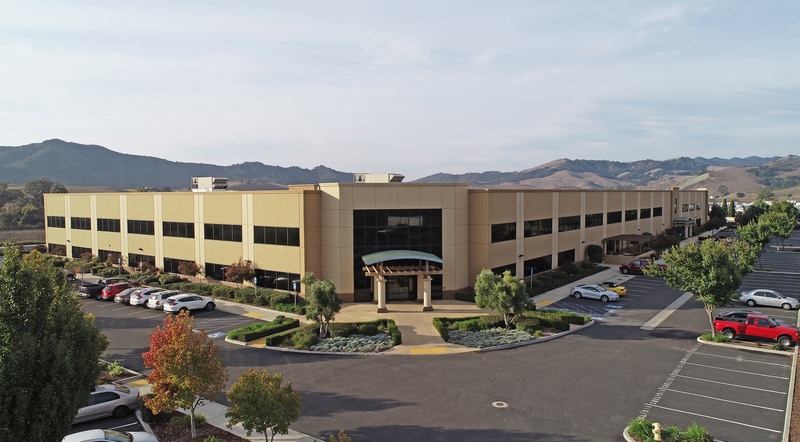 “Without a doubt, it’s the premier industrial space in the San Luis Obispo area,” says Charley Senn, SIOR, the Anderson Commercial Real Estate broker who represented Trust in the search for a new facility. Trust Automation is not disclosing terms of the transaction. Trust Automation has 25 years of experience in custom; motors, linear drives, digital drives and systems which meet the unique needs of its customers. Its product line includes motors, linear drives, digital drives custom assemblies and products to fit unique applications and ground-up system design and manufacturing solutions. As of today, Trust Automation has grown to a 50,000 square foot facility that supports its 70+ team of engineers, designers, manufacturers and customer service employees. Click here to download a high-resolution image of 125 Venture Drive, San Luis Obispo, CA.